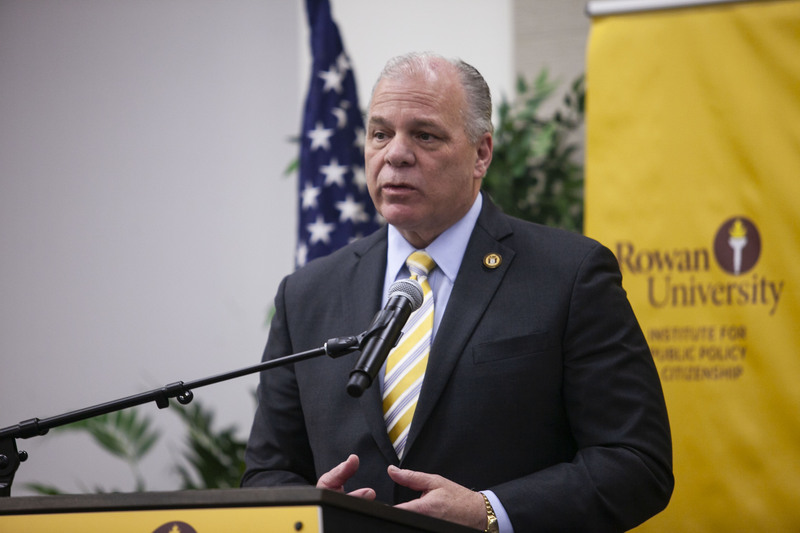 On Monday evening, New Jersey Senate President Steve Sweeney visited Rowan’s Business Hall to discuss the state’s fiscal condition and its future to the public. 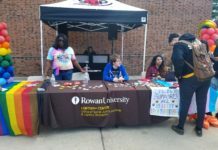 Held by the Rowan Institute for Public Policy and Citizenship (RIPPAC), the purpose of the meeting was to address the fiscal concerns that are plaguing New Jersey, as well as to discuss the financial issues that New Jersey students are currently facing. A member of the State Senate since 2002, Sweeney served as Senate president for nine years and sponsored actions protecting workers rights. He resided at the forefront of efforts to raise New Jersey’s minimum wage and marijuana legalization, and sponsored laws focused on improving the lives of people with disabilities. Though his track record is impressive, Sweeney’s current initiative of overhauling the state’s public workers pensions and healthcare system has put him at odds with many of his own constituents and party members, including Gov. Phil Murphy. Public workers are concerned the pension fund will go bankrupt while lawmakers warn the state budget could become overwhelmed without reform. Other programs could be effected as a result, such as healthcare and education. Pension and health benefits for active and retired workers are among the state’s fastest growing expenses, and under Sweeney’s overhaul it would require a reduction in the employee healthcare plans from those considered platinum under the Affordable Care Act to those considered gold. Therefore, consolidating the State Health Benefits Program and the School Employees’ Health Benefits Program and shifting new hires with fewer than five years of employment in government, to a plan that resembles a defined contribution plan. This more closely resembles a 401k than a pension plan. If implemented, the proposals could reduce spending in pensions and healthcare, but leave many workers with fewer benefits. However, leaving the pensions as they are could leave New Jersey unable to pay for the pensions as a whole. Sweeney also spoke on the financial future of New Jersey students at large. 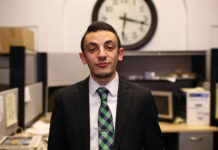 Junior political science major Nicholas Fanelle feels different about Sweeney’s plan. For questions or comments about this article email news@thewhitonline.com or tweet@thewhitonline.